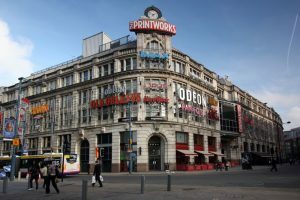 The highly popular Odeon cinema which is situated inside The Prinkworks, adjacent to Next, has today confirmed that after the 14th May 2017, it will no longer be in operation as an Odeon cinema. 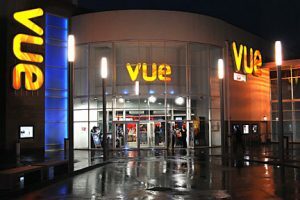 Odeon have confirmed that all 113 current employees will be kept on at the city centre 23-screen multiplex, after Vue cinema’s take over next week. So what does this mean for any Odeon Limitless customers living in the City Centre? Unfortunately, after the 14th May, Odeon Limitless customers will have to visit other Odeon cinema’s around Greater Manchester in order to carry on using their limitless memberships. 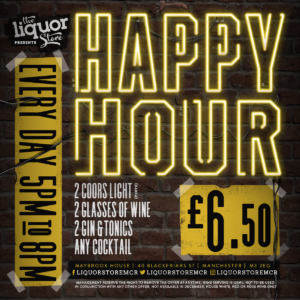 Therefore, other local Odeon Cinema’s are now going to become busier with an influx of Limitless customers who can no longer use their limitless membership cards in Manchester City Centre. This means that the Trafford Centre’s Odeon cinema will now become the main multiplex for limitless card owners in the Greater Manchester area. Vue Cinema’s don’t currently offer an equivalent to the Odeon Limitless and Cineworld Unlimited Cards – hopefully this will change in the future so that City Centre residents can have the option to change so that they can still enjoy films at their local cinema.